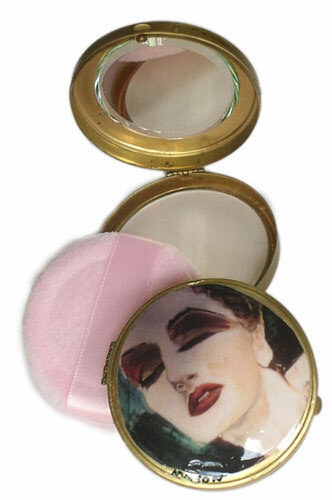 JAZYPAC Transluscent and Medium Pressed POWDERS come in refillable hand decorated compacts. Great totally matt lightweight powders to dust or press on. They take away shine and give a smooth elegant finish to the skin. They're perfect for stopping shine and setting your make-up and can be worn with or without base. Usage Tip: If you are purchasing the palest Water or Earth liquid base and have a very pale skin, dust a little white powder under your eyes and around your nose, chin and the center of your forehead before applying your translucent powder. Any light to medium skin can use this powder. Medium powder is for medium to dark skins.